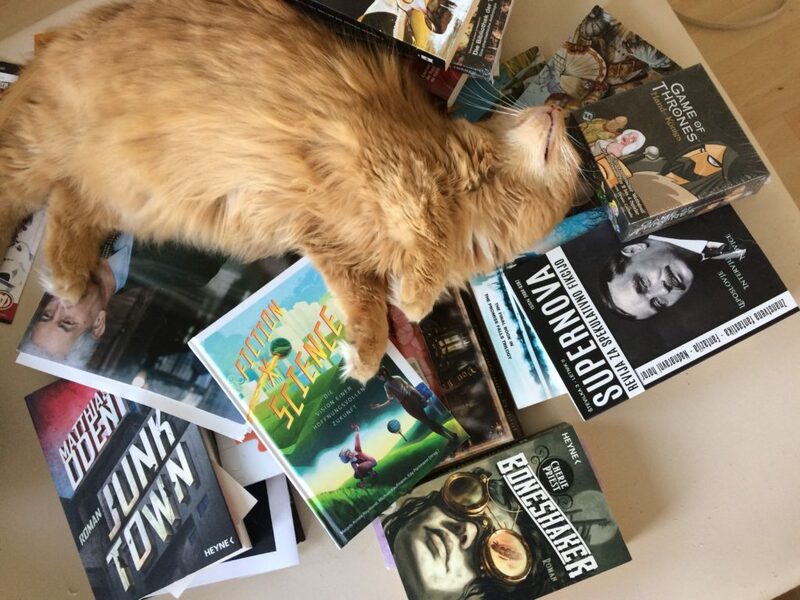 This entry was posted in Cats Sleep on SFF and tagged Nina Horvath by Mike Glyer. Bookmark the permalink. It looks like she is enjoying herself very much. I wouldn’t be able to resist a belly rub in this situation. Oh my, I hardly could not resist! Belly rubs never become boring! John Kovalic (artist responsible for the board game Munchkin and the comic strip Dork Tower) recently posted a cat sitting on his art to twitter. It’s not quite the same thing as “sleeping on SF”, but if it’s close enough for OGH’s nefarious purposes, John might be willing to contribute a copy, if approached nicely.